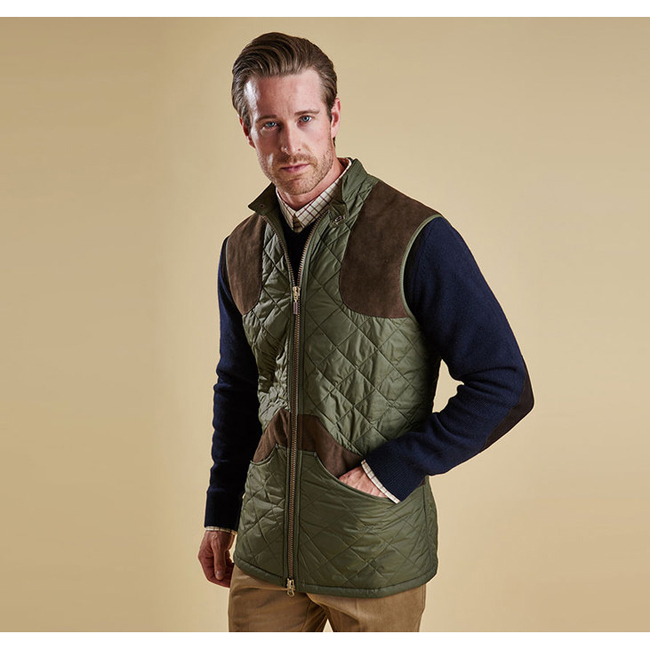 The Brearton Gilet is a men's quilted waistcoat from Barbour Sporting's Shooting collection. Crafted with Barbour's signature diamond-quilted outer for reliable warmth, this lightweight gilet is cut for a relaxed fit and features a neat stand collar that can be secured shut with the studded tab. Its two-way zip allows the bottom to be opened slightly for ease of movement, while contrast Alcantara shoulder patches and pocket trims add luxurious finishing touches. 80.2 - 83.8cm's | 31.5" - 33"